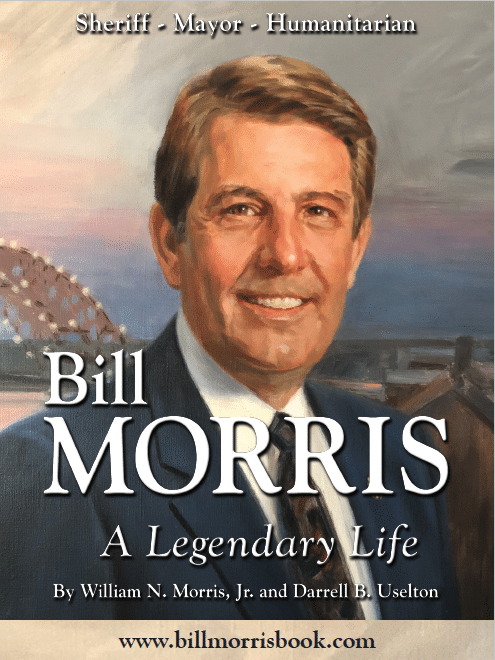 In this book, William N. (Bill) Morris, Jr. shares his compelling journey from the depths of poverty to become one of Tennessee’s most respected politicians. 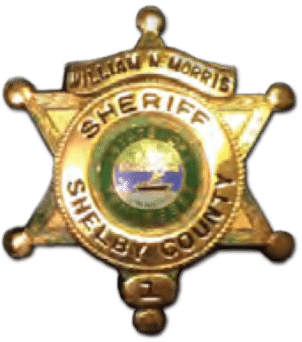 Elected Shelby County Sheriff in 1964, Morris served three terms as one of the youngest sheriffs in Tennessee history. 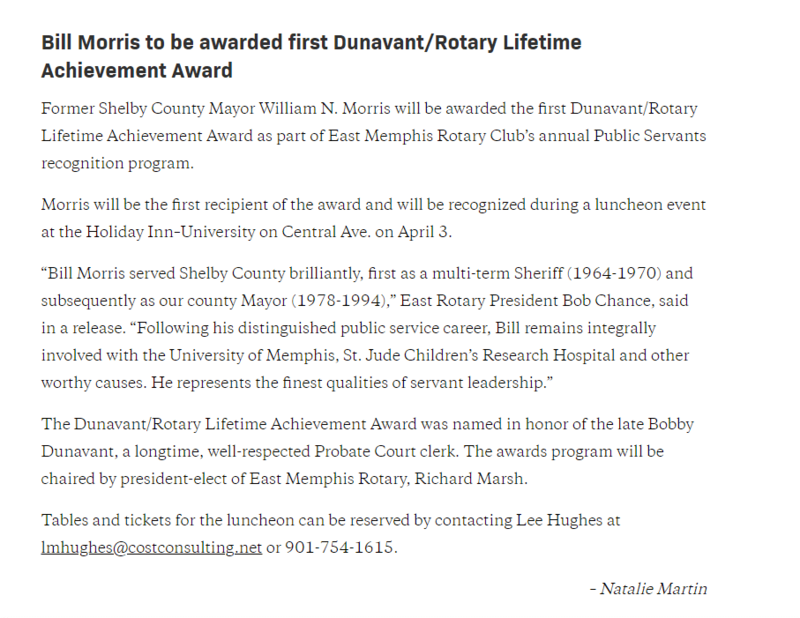 He transformed what was once an undisciplined and often corrupt sheriff’s department into one of the most respected law enforcement agencies in the nation. 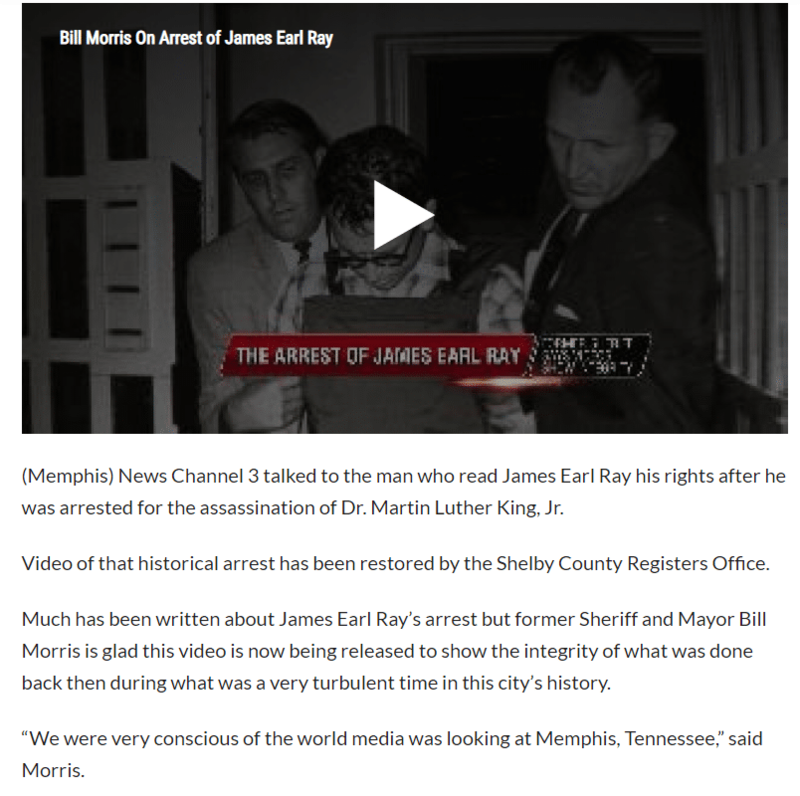 During his third term as sheriff, Morris took James Earl Ray into custody for the 1968 killing of Dr. Martin Luther King, Jr. in Memphis. 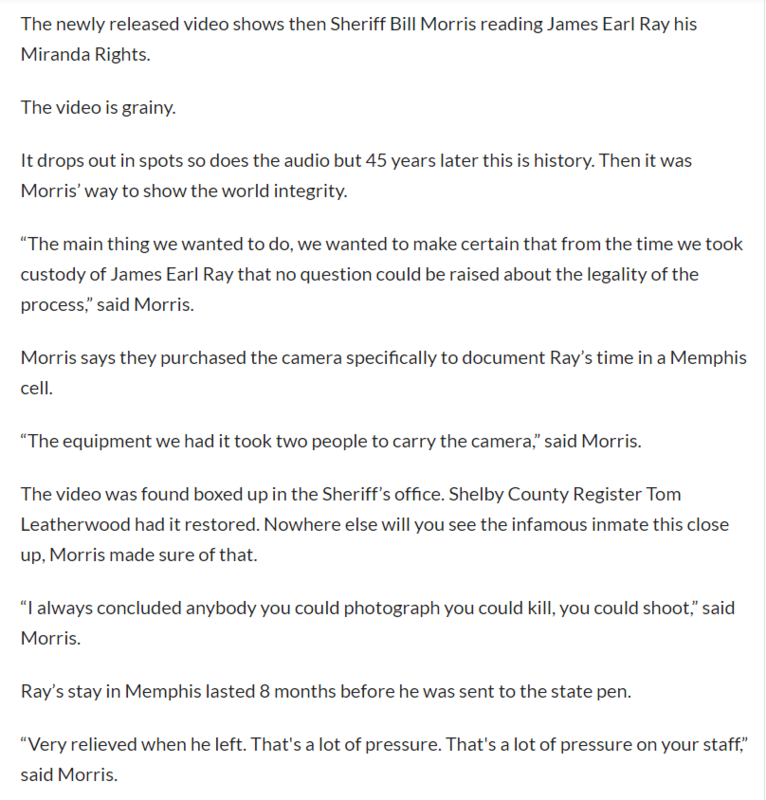 Protecting Ray from potential assassins became his top priority. 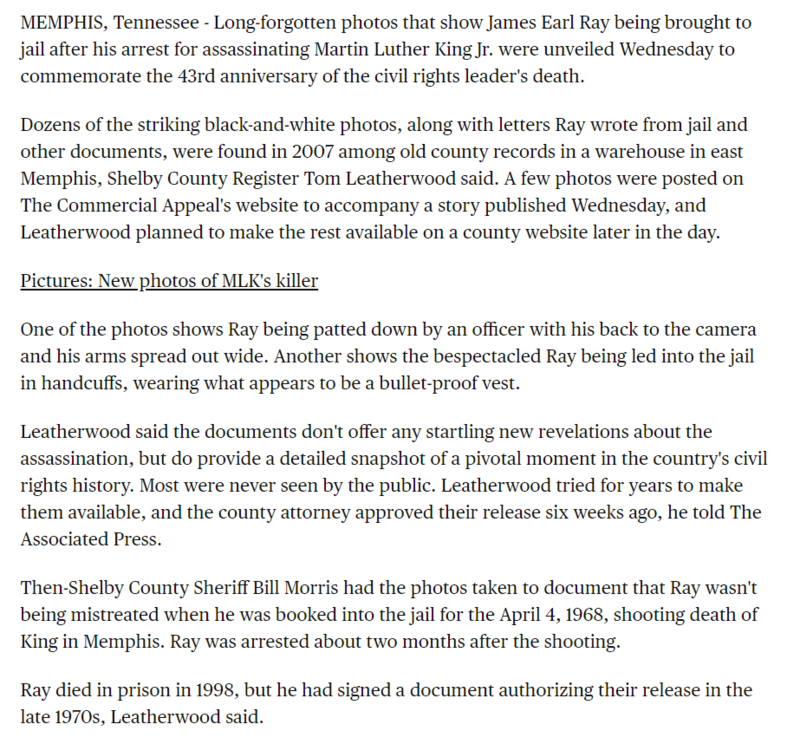 Morris and his staff instituted new jail procedures to protect Ray, which brought national acclaim from law enforcement officials, including a personal thank you from FBI Director J. Edgar Hoover. 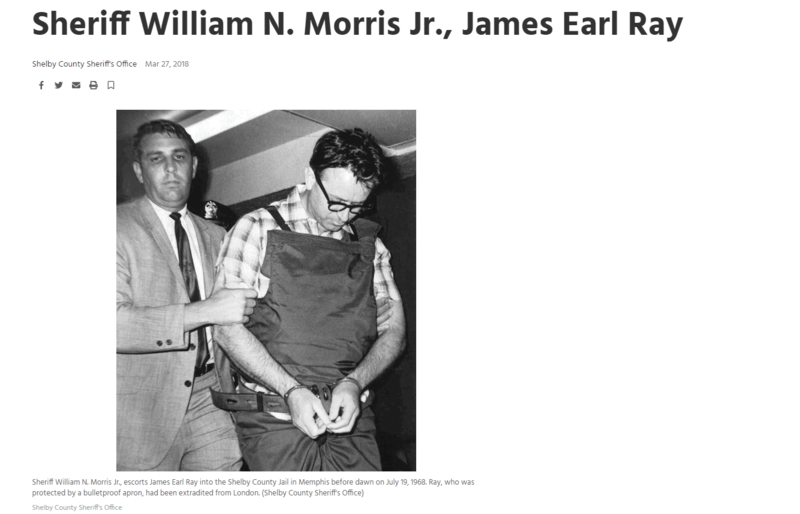 Morris became a close friend and companion of Elvis Presley until Elvis’ untimely death in 1977. 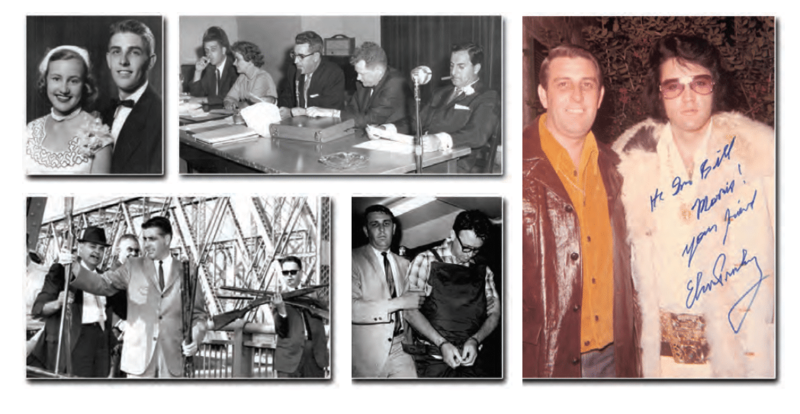 Due to Elvis’ deep respect for law enforcement, Morris deputized him and members of his “Memphis Mafia” in 1965. 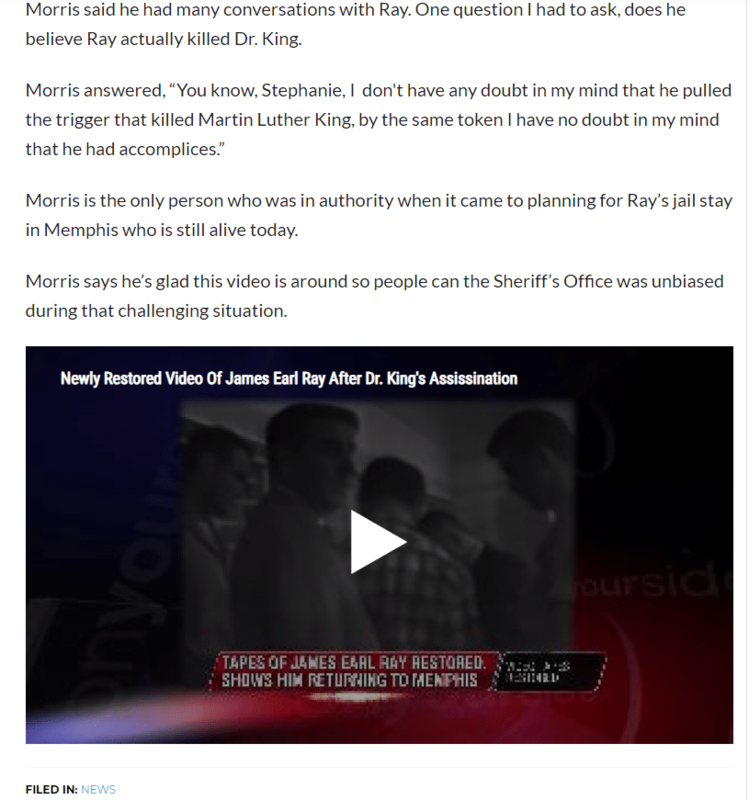 During the 1970s, Morris accompanied “the King” to many of his concerts and private getaways. As a token of his respect, Elvis presented Morris a brand new Mercedes 280 SEL on Christmas Eve, 1970. 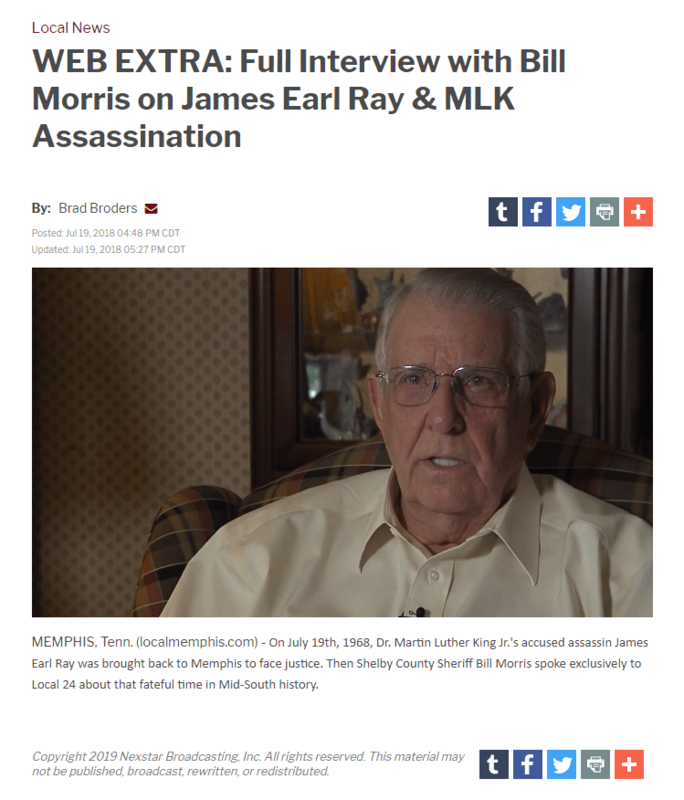 Morris was also one of a few close associates to participate in a never-publicized secret séance in an attempt to communicate with Elvis immediately after his death. 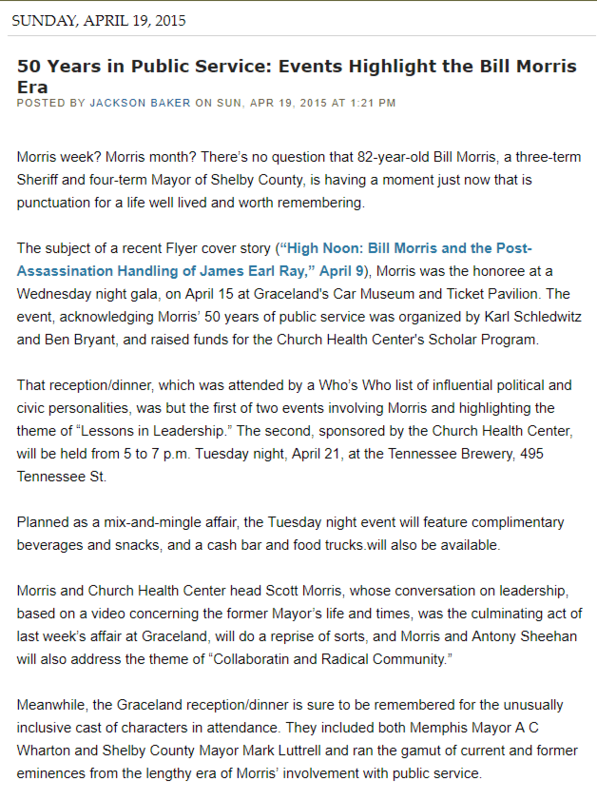 Morris was also a friend of entertainer Danny Thomas and has been involved with promoting the work of St. Jude Children’s Hospital for over 60 years. 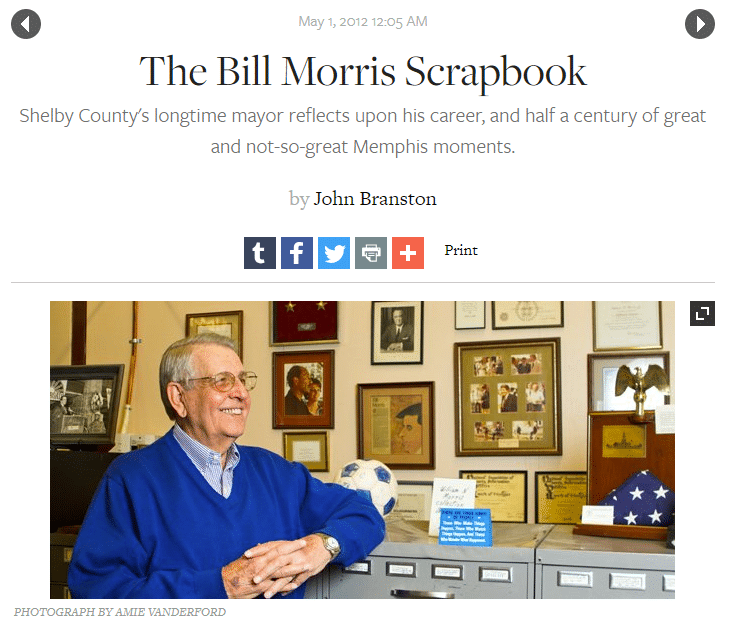 Morris served four consecutive terms as Mayor of Shelby County and was instrumental in promoting Memphis as America’s Distribution Center. 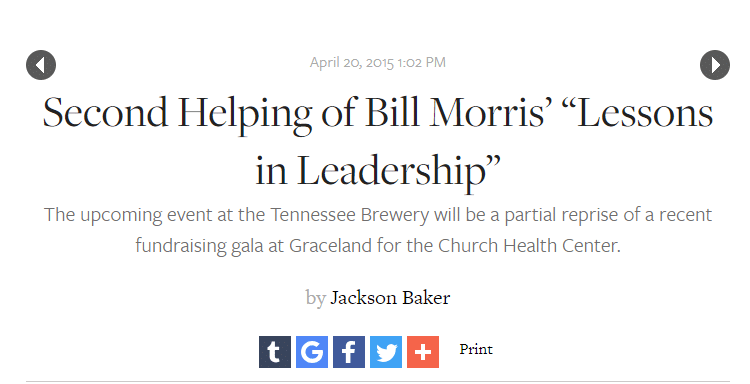 His travels around the globe with Governors Lamar Alexander and Ned McWherter helped bring many foreign businesses, such as Sharp Manufacturing and Nissan Motor Company to Tennessee. His work to promote foreign trade globally earned him a seat on President Ronald Reagan’s International Economic Committee. 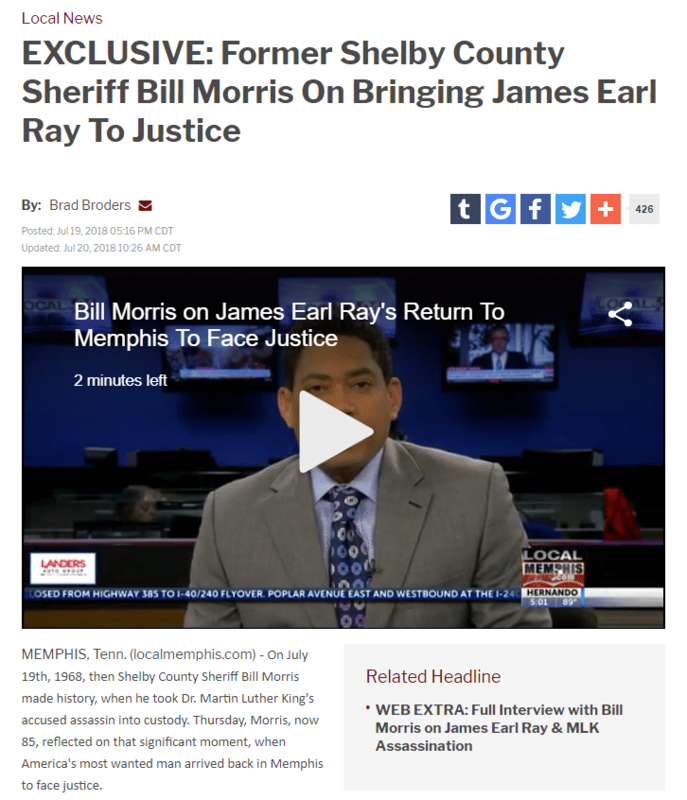 Morris also sold the rich heritage of blues, R&B and rock and roll, and promoted Beale Street and Elvis Presley’s Graceland as the basis for bringing new life to Memphis. 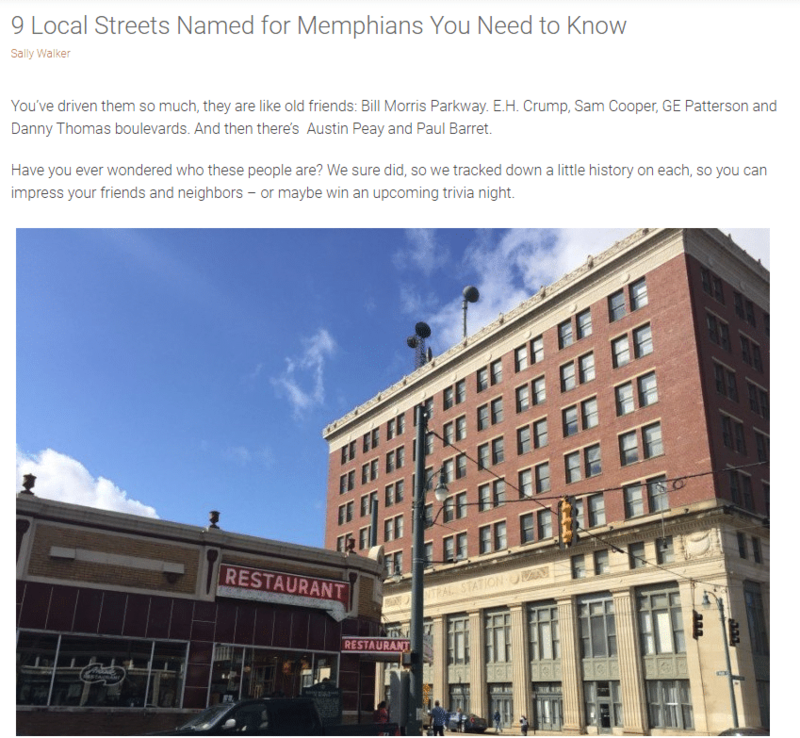 Memphis has since become a destination city for millions of travelers from around the world. 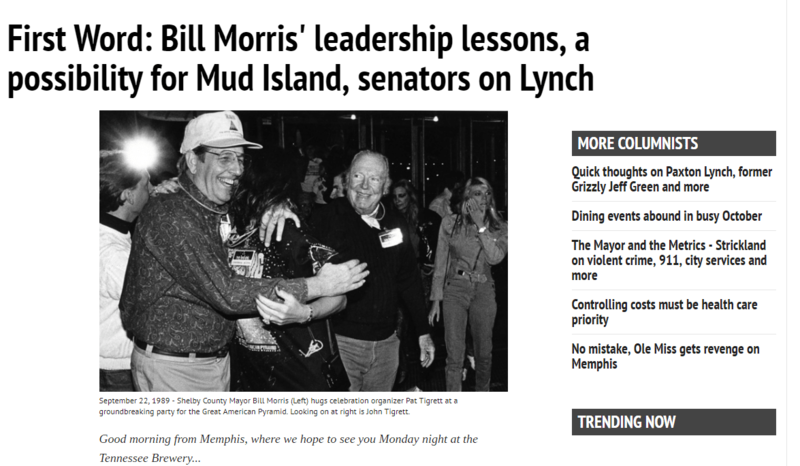 After an unsuccessful campaign for governor in 1994, Morris retired from politics. 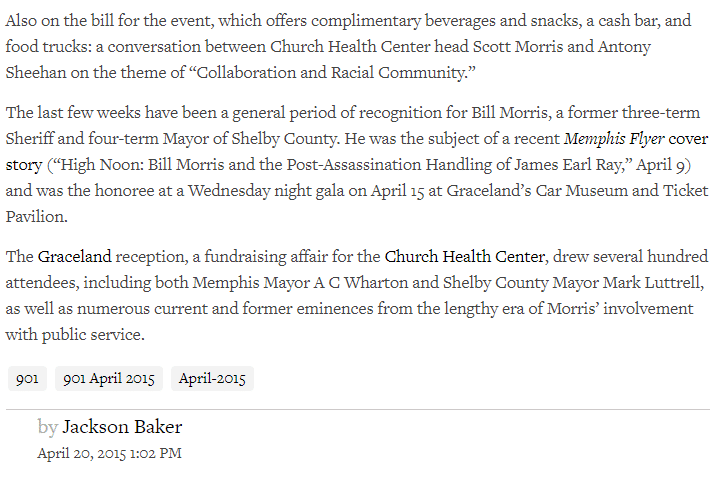 Three years later, his wife, Ann, suffered a major stroke, which began his greatest challenge. For the next 19 years, he became devoted to his wife’s day-to-day care until her death in 2016. 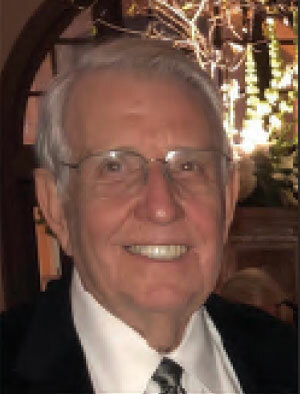 Instilled with deep religious roots, Morris has never been timid about his faith and gives praise to God, whom he credits for his success in life. 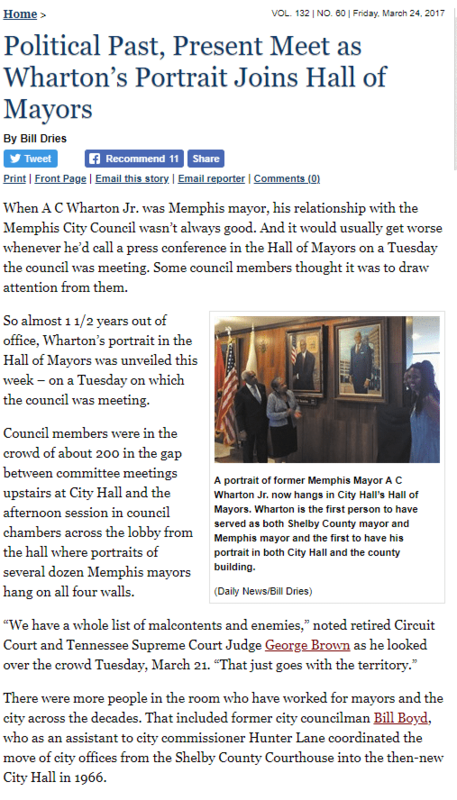 He continues to spread his message that he has had a “rich life without riches” and is committed to spending his remaining years surrounded by his wonderful family. 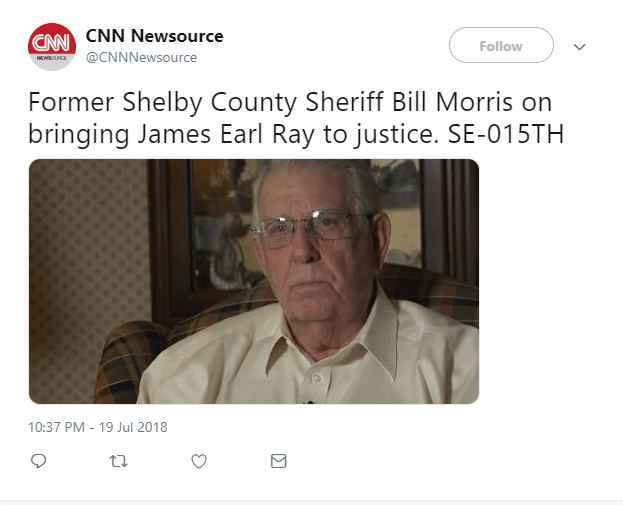 Elected as one the youngest sheriffs in Tennessee history, William N. (Bill) Morris, Jr. transformed the Shelby County Sheriff’s Department into one of the most respected law enforcement agencies in the nation. 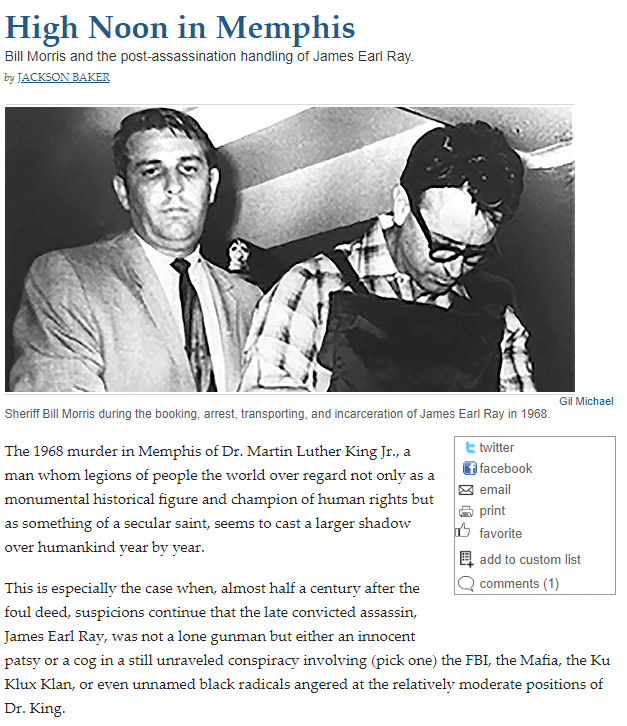 The jail procedures instituted to protect James Earl Ray, after his arrest for the assassination of Martin Luther King, Jr. in 1968, brought Morris and his staff national acclaim, including a personal recognition from FBI Director J. Edgar Hoover. 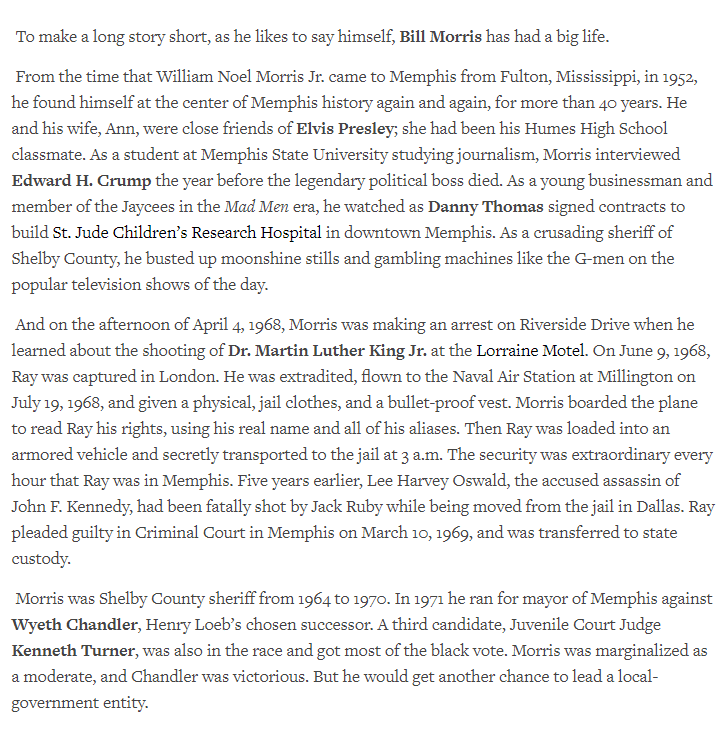 Morris became a close friend of Elvis Presley in the 1960s. 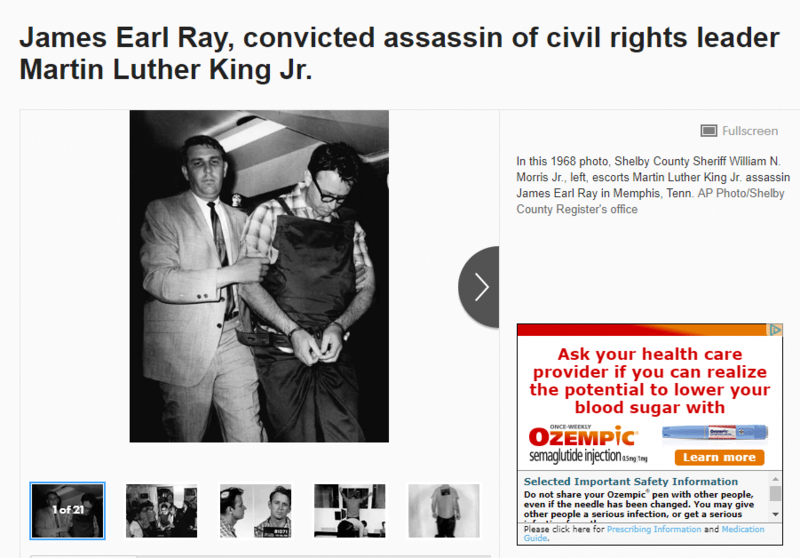 He deputized Elvis and members of his “Memphis Mafia” due to Elvis’ respect for the law and support of law enforcement. 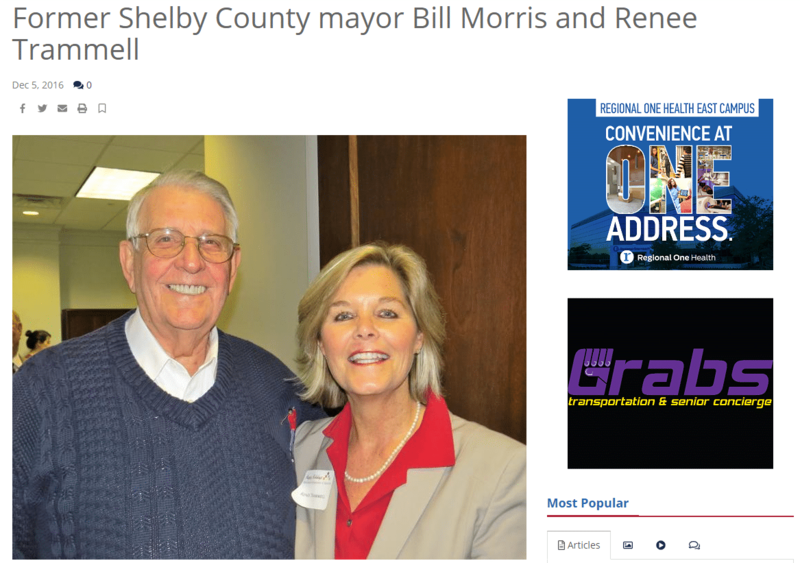 From 1978 to 1994, Morris served four terms as Shelby County Mayor. 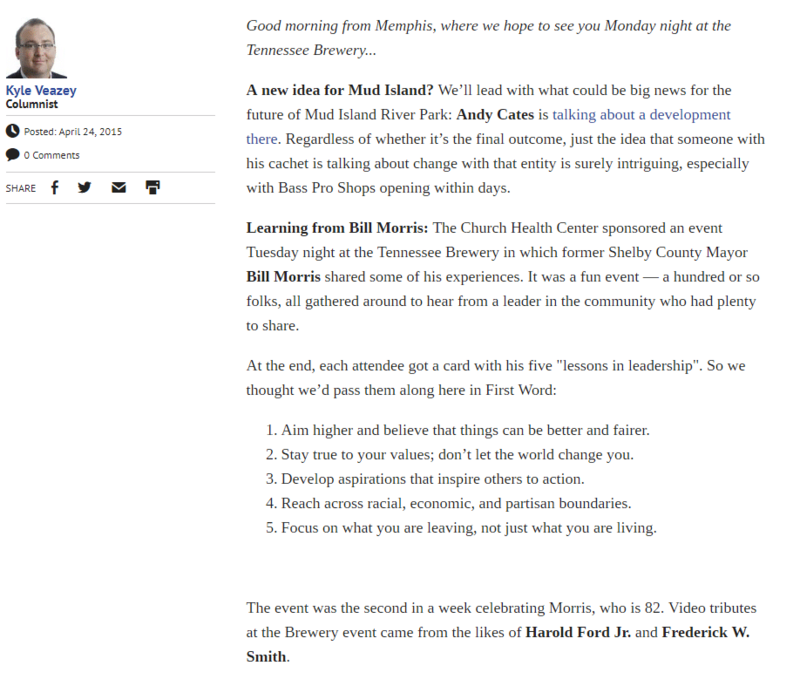 Traveling the globe, he promoted tourism with Memphis In May, Beale Street and Elvis’ Graceland. 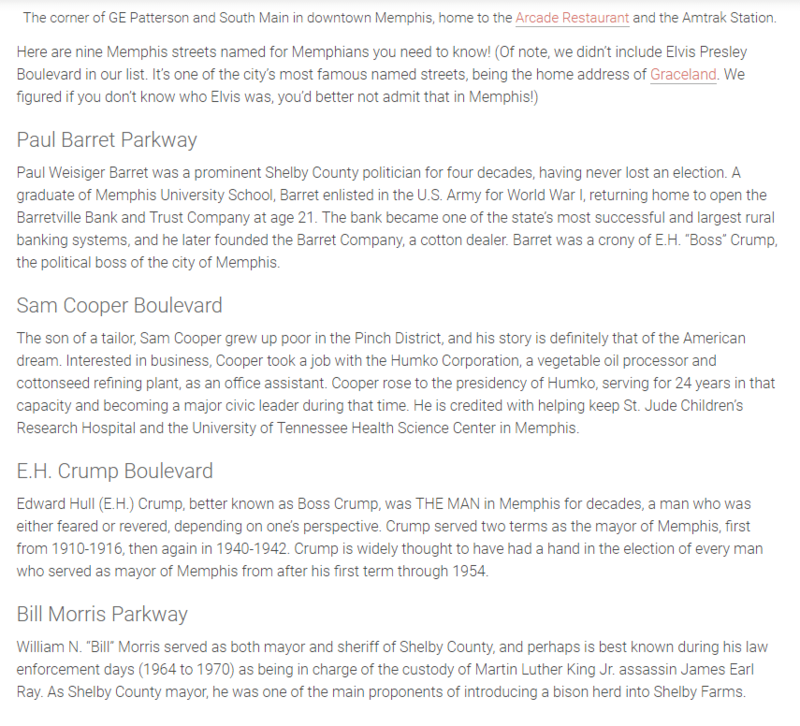 He also sold the concept of Memphis as America’s Distribution Center and actively promoted foreign trade. 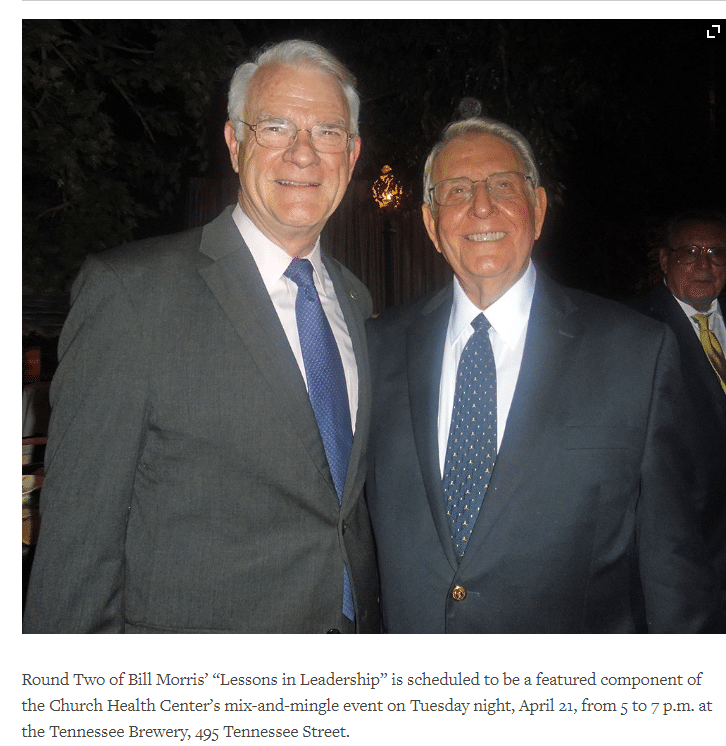 His efforts earned him a seat on President Ronald Reagan’s International Economic Committee. 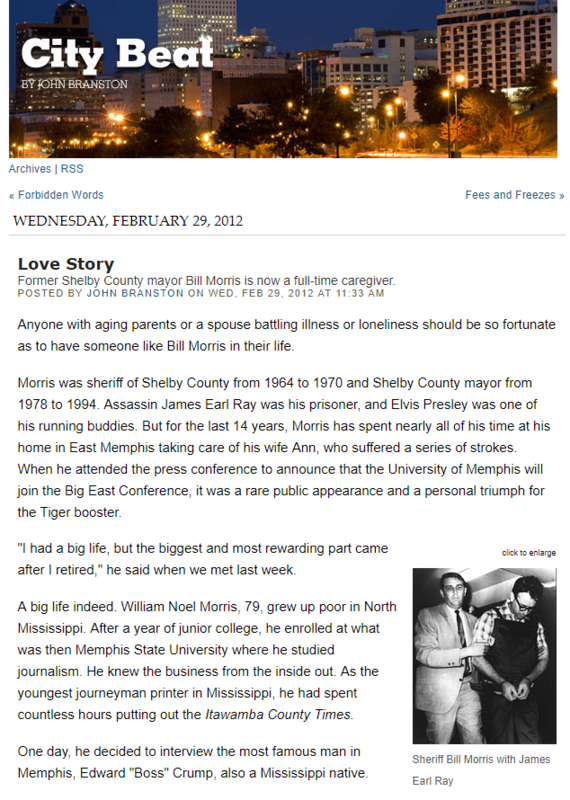 The autobiography, penned by Bill Morris and Darrell Uselton, is now available for purchase at Novel bookstore in Memphis as well as through the website www.billmorrisbook.com and on Amazon.